With the specter of an American attack in Syria looming, Prime Minister Benjamin Netanyahu on Sunday drew attention to the partners of the embattled Syrian leader, Bashar Assad: Iran and the Lebanese militia Hezbollah. Netanyahu’s announcement came amid persistent reports of a chemical weapons attack last week outside Damascus that killed hundreds of people. A US official said Sunday there was “very little doubt” that Assad had been behind the attack, which has prompted US naval forces to move closer to Syria. Israel, like the rest of the world, has refrained from responding to the Syrian civil war in any large-scale way, taking in only a small number of injured Syrians and reportedly carrying out covert air strikes at regime weapons sites. Yet officials have said action must be taken, with most expecting Washington to respond to the attack. Speaking to journalists after the meeting, Fabius called the alleged attack a “chemical massacre,” and said that during his stay in the region he remained in close contact with officials across the world regarding a response. He added that he had “no doubt” about who had committed the attack. 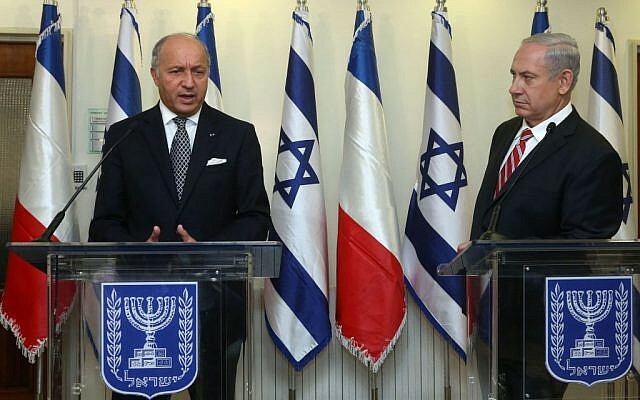 Defense Minister Moshe Ya’alon also met with Fabius and asserted that Israel would defend itself if attacked by Assad. He added that last week’s alleged gas attack wasn’t the first time the Assad regime had used such weapons. At the end of the day, the defense minister said, “we have do defend ourselves on our own, and do so responsibly and thoughtfully. We don’t expect foreign armies to do it for us. Earlier in the day, opposition head Shelly Yachimovich (Labor Party) told Fabius the world “cannot remain silent” when faced with the news from Syria. “I told him it was genocide,” she said in a statement. 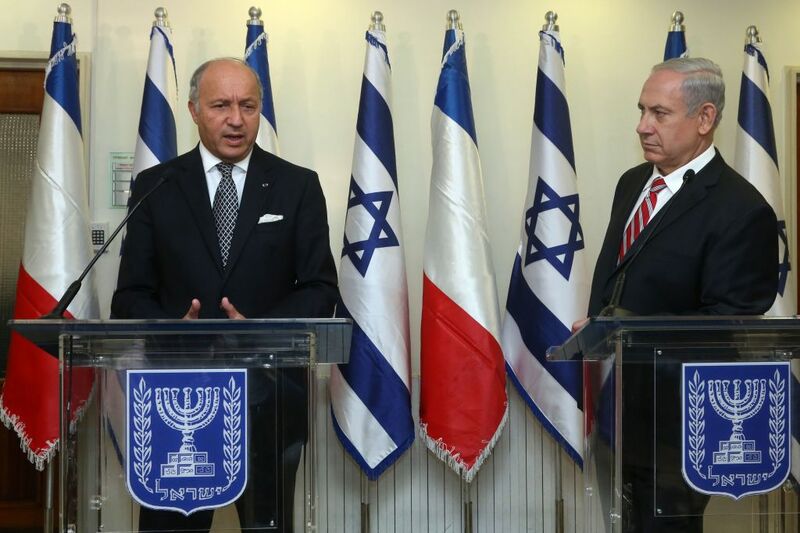 The Labor Party head also told Fabius she and her party “will be Prime Minister Benjamin Netanyahu’s safety net” to enable him to move forward and strive for peace. Yachimovich pointed out “the obvious difference” between Israel and the rest of the countries in the region, noting that even with criticism directed at Jerusalem, it was still the only democracy in the area.